Toluene is a clear and water-insoluble liquid which has typical smell of paint thinners, redolent of the sweet smell of the related compound benzene. We are supplying Toluene, which is an aromatic hydrocarbon used widely as an industrial feedstock and also as a solvent. 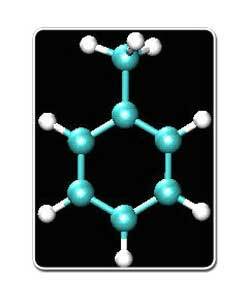 Toluene is also used as an inhalant drug like other solvents for its intoxicating properties.